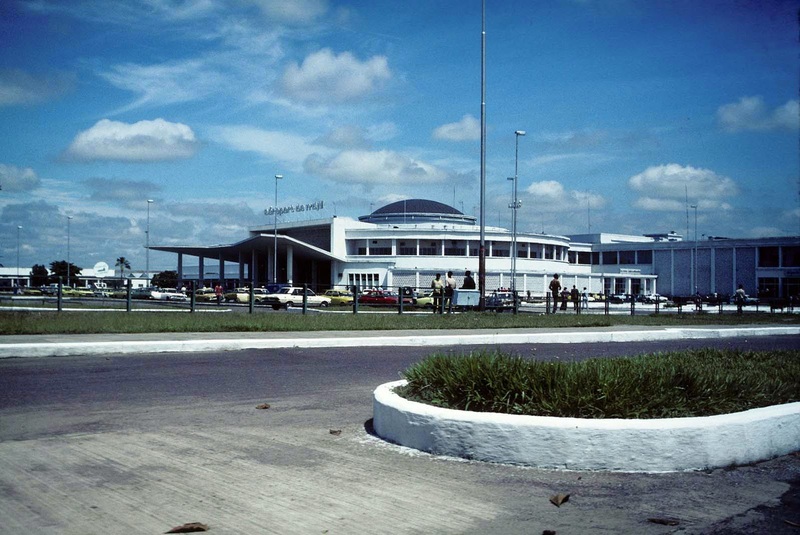 In February 1959, the new International Airport at Ndjili opened to much fanfare. 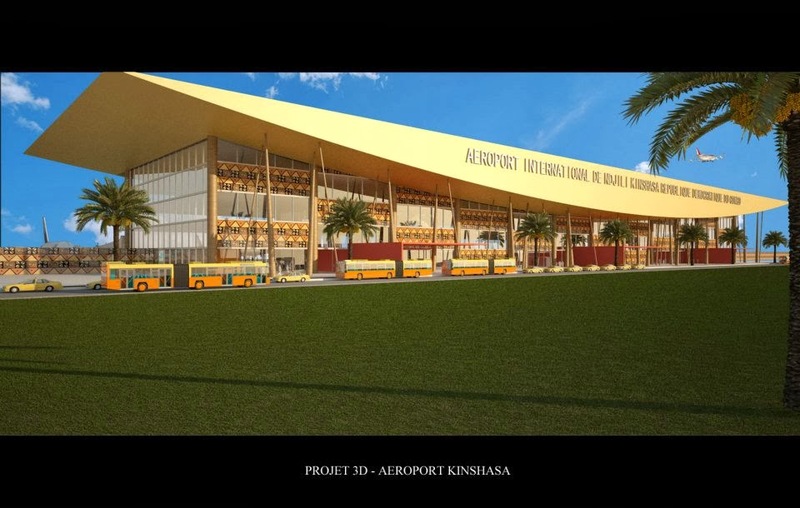 Replacing the original Ndolo airport (See Apr. 27, 2013), the new facility was celebrated as one of 14 in the world capable of handling jet aircraft and offering, at 4700 meters, the longest civilian runway in the world. The product of a decade of work, it was designed by Leon Marcel Chapeaux, who also produced buildings at Brussels airport as well as Kuala Lumpur in Malaysia. The extensive complex, which cost $17 million, was connected to Leopoldville by a 4-lane superhighway named for King Leopold III (now Blvd. Lumumba), which served also in its extension as the gateway to eastern Congo. 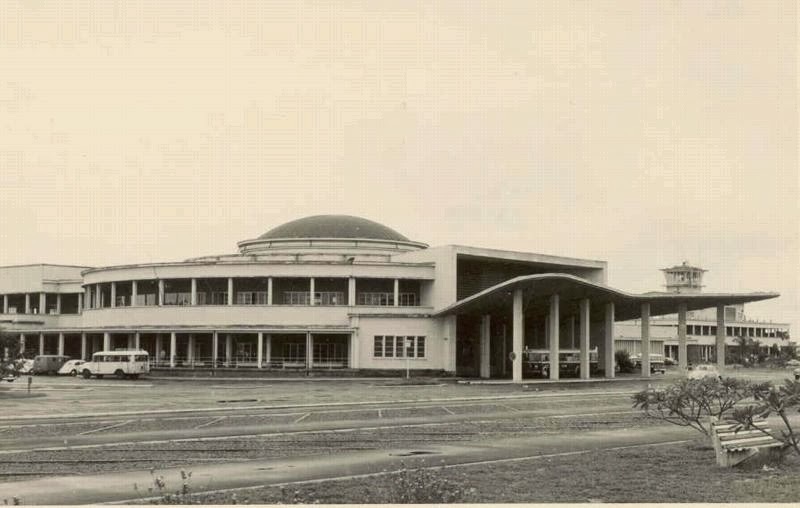 In addition to its practical purpose as an updated transportation hub, the airport was intended to demonstrate Belgium’s accomplishments in its African colony. The site was located on a sandy plateau five kilometers long parallel to the Congo River, requiring minimal grading and with small streams at either end to facilitate drainage. Notwithstanding its distance at 20 kilometers from Leopoldville, it was a perfect site. Land was available for future residential development on the low hills to the south. During the construction in 1955-56, a small village of Teke-Humbu residents was relocated to a new site at Mikonga to make way for the airport. As for the old Ndolo airport, the planners intended to close it and extend the Boulevard into downtown. Ndjili International Airport is actually in Nsele Commune, Ndjili Commune being some 5 kilometers to the west on Boulevard Lumumba. This anomaly derives from the fact that the unincorporated area east of the city was called “Territoire Suburbain de Ndjili” when the airport was built. 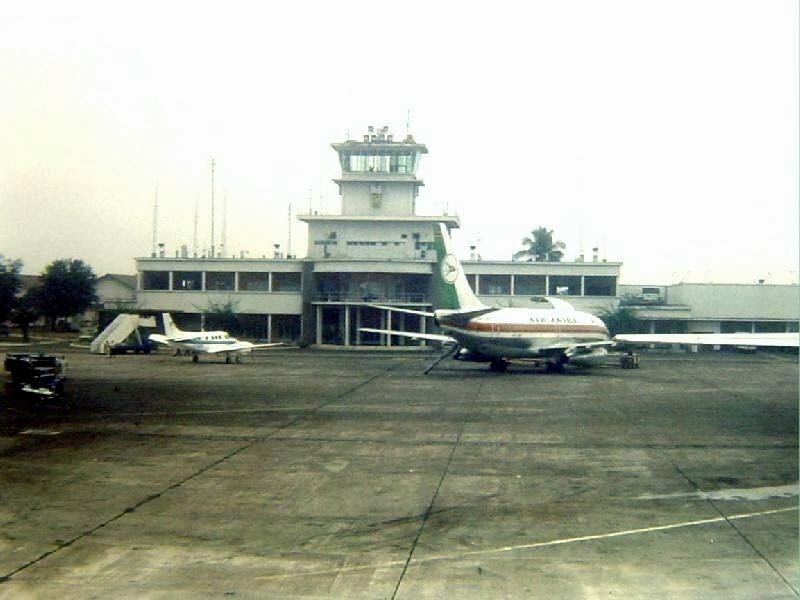 When Nsele Commune was established in 1967, the new authorities staked their claim, but the airport continued to be run as an enclave of Ndjili Commune until 1982. 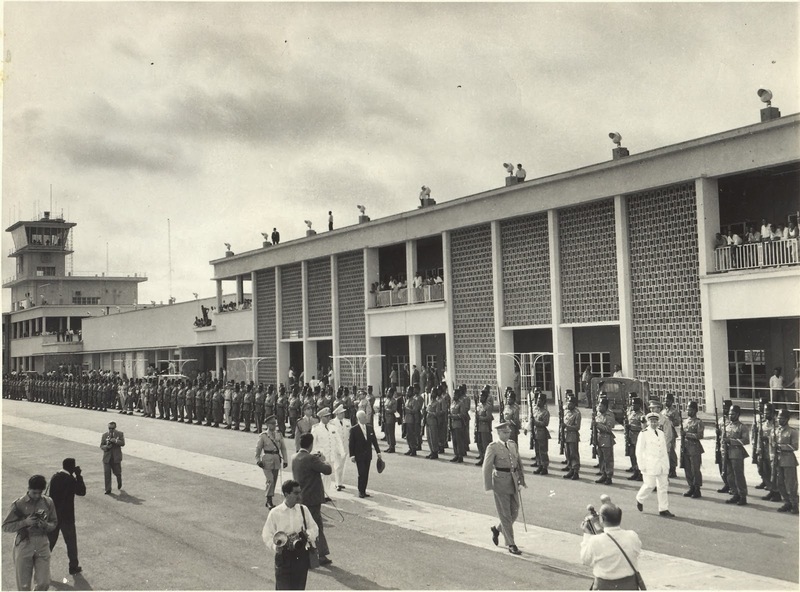 The new airport served as a splendid showcase for foreign dignitaries attending Congo’s Independence ceremonies in June 1960. 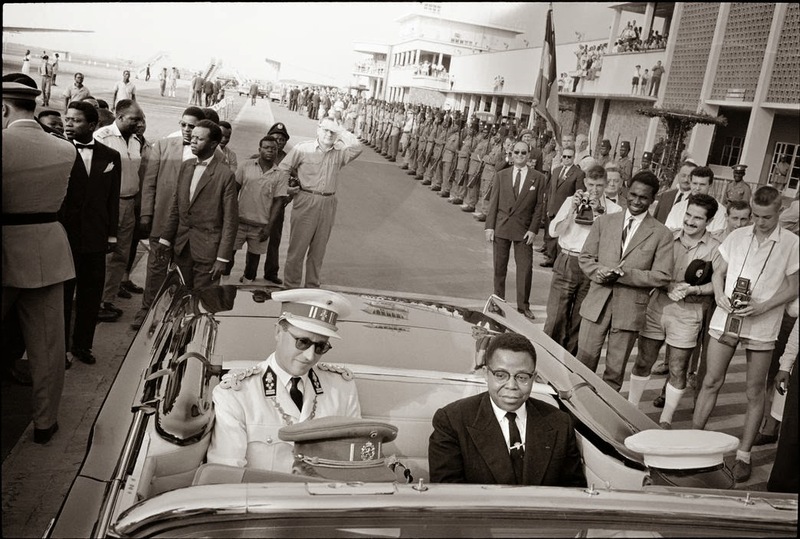 On the eve of Independence, June 29, King Baudouin arrived and was received by President-designate Joseph Kasavubu and Prime-Minister designate Patrice Lumumba. Other delegates arrived by air from all over the world, including a low-level Soviet mission that sought to establish diplomatic relations with the new nation. Within days of Independence, the Congolese army, the Force Publique (FP), mutinied, provoking a massive exodus of expatriates from the country. The Belgian airline, Sabena, pulled all of its aircraft from regular service around the world, organizing a massive airlift from the former colony. Between July 9-28, Sabena evacuated 25,000 people. 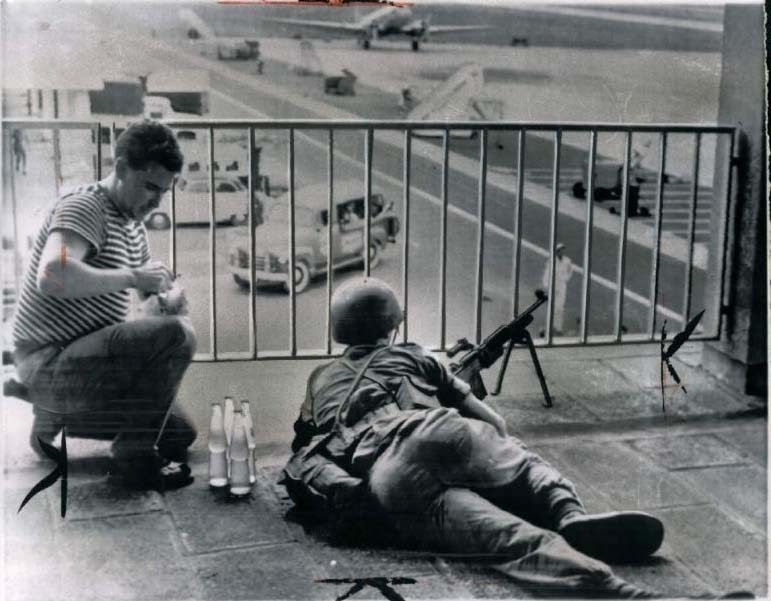 When the FP tried to secure the airport, Belgian paratroops intervened and evicted the Congolese troops. Close-quarter combat saw grenades tossed in the stairwell leading up to the restaurant (whose ceiling tiles remained damaged and un-replaced for several years). At the same time, the United Nations, invited by the Congolese government to intervene in the crisis, began flying in troops from around the world. 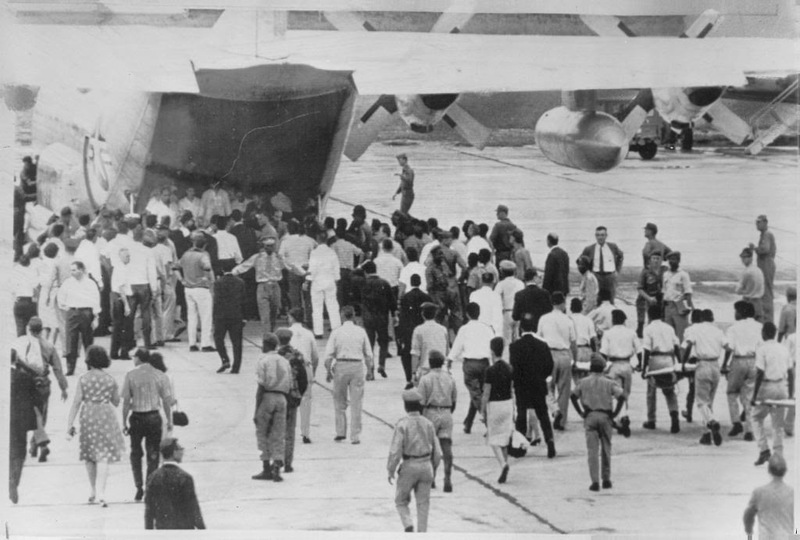 The first 700 Ghanaian soldiers arrived July 15, on British aircraft, while successive flights of USAF C-130 Hercules delivered 600 Tunisians. With the arrival of UN troops, the Belgian forces withdrew on July 21. 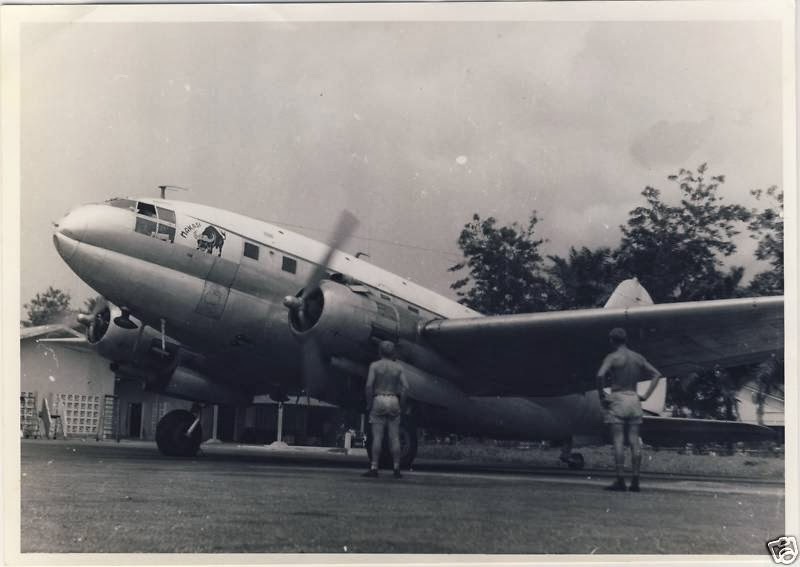 The United Nations initially established its air operation at Ndolo, with 40 pilots and mechanics under the command of the Swedish Air Force and using spares and equipment left behind by the Belgians. But by September, given security concerns, the Indian and Italian C-119 Flying Boxcar squadron was transferred to Ndjili while overall air operations were based out of the massive Kamina airbase in Katanga. Ndjili had two large hangars located about 1 kilometer on either side of the terminal. The west hangar housed civil aviation and the east terminal was taken over by the US military mission. Prime Minister Lumumba was frustrated by the limitations on his travel around the country the conflict engendered. 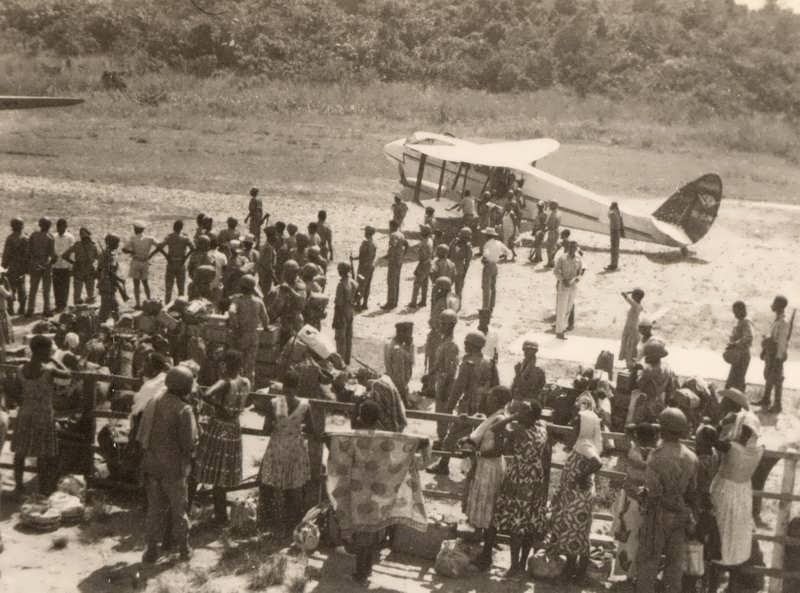 He had initially used the Governor General’s Force Publique DeHavilland Heron, but it was transferred to Kamina along with other aircraft controlled by Belgians, and eventually formed the basis of secessionist Katanga’s air force. In mid August, the Soviet Union gave the Congo an Ilyushin-14 piston-engine aircraft for executive use. At the end of the month, as Lumumba made plans to put down the secession of South Kasai, the Soviets provided another 12 Ilyushins for troop transport, the first of which arrived at Ndjili September 2. 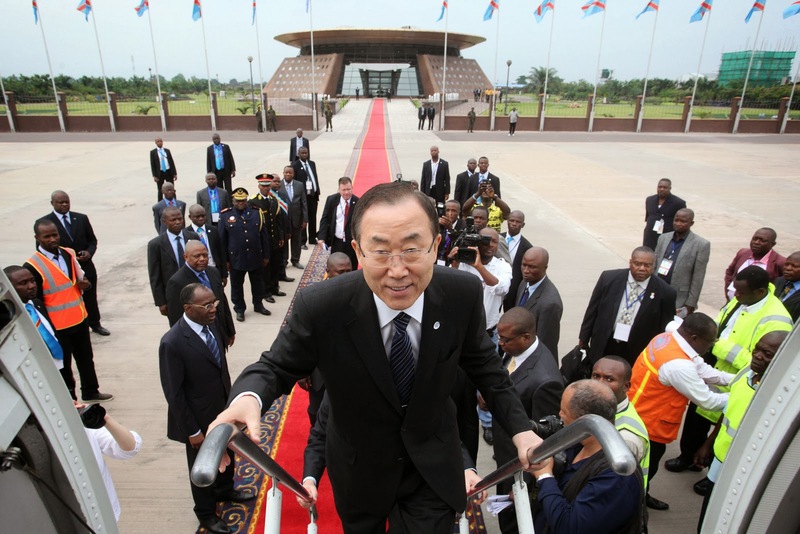 Four days later, the UN closed all airports in the country, effectively grounding Lumumba’s planes. Ndolo continued to serve as a general aviation airport. When the Force Publique Aviation was relocated to Ndjili in 1955, a local carrier, called Air Brousse, was created by 3 pilots in reaction to Sabena’s steep, monopolistic fares -- the highest in Central Africa. On the eve of Independence Air Brousse had a fleet of 4 DeHavilland “Dragon Rapide” biplanes and 4 Piper Tri-pacers. It was an Air Brousse “Dragon Rapide” that the Congolese government hired in January 1961 to fly Patrice Lumumba from Thysville (Mbanza Ngungu) to Moanda to avoid the UN flight restrictions and from there to his death in Katanga. In January 1961, the Congolese government reached agreement with Sabena to create a national carrier, Air Congo. In June the new airline was launched, with the Congo government holding a 65% share, Sabena (which ensured management) 30% and Air Brousse and Belgian charter airline Sobelair holding the remaining shares. On international flights the Boeing 707 aircraft sported “Air Congo” on the fuselage with a white Sabena “S” on the tail. In January 1962, the Congo constituted its first Air Force unit at Ndolo (given that secessionist Katanga had acquired the FP planes). 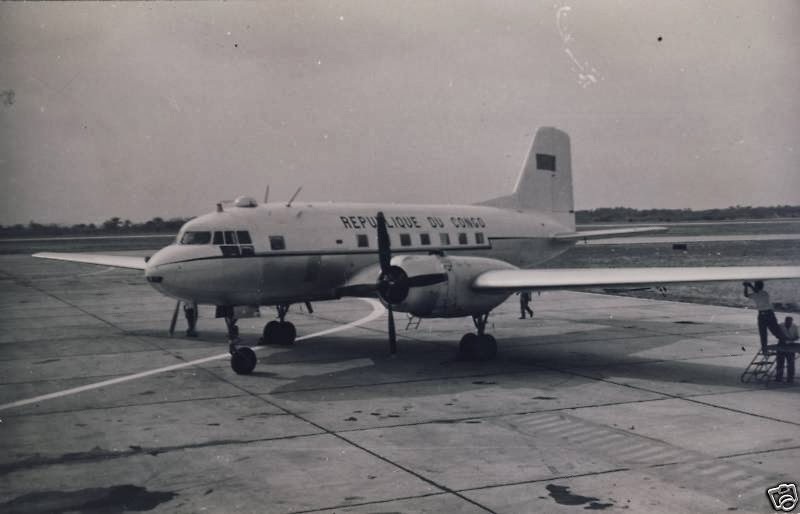 The fleet, including a DC-4 and 3 DC-3s purchased in France, was presented in a ceremony attended by Mobutu, Prime Minister Adoula, the US Ambassador and US and UK military attaches. 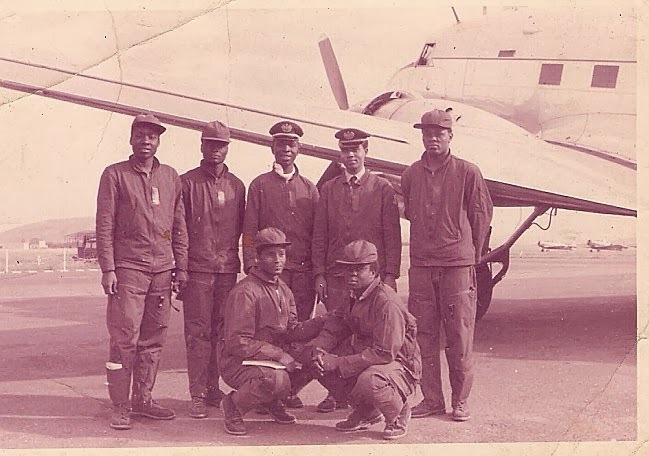 A training school for Congolese pilots was started, but Congo’s western allies remained concerned about the urgency of rapidly upgrading the vast country’s air capability. After a western proposal to retrain the Congolese armed forces using technical assistance from NATO countries was quashed by the UN, the CIA put together an “instant air force” staffed by anti-Castro Cubans (many were Bay of Pigs veterans) and others. 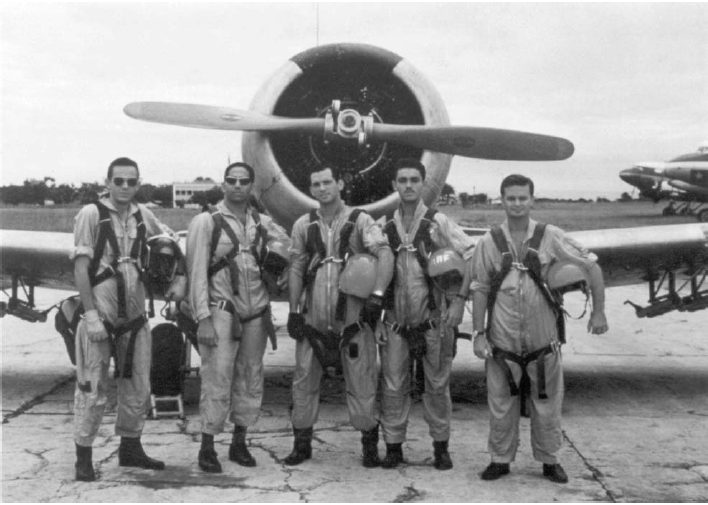 By November 1962, the first 6 Cuban pilots sourced from Caribbean Aeromarine (a subsidiary of Air Panama, incidentally a contractor to the UN’s civilian air wing) arrived to fly T-6 trainers provided by the US. These assets were used to support the Congolese Army in operations against rebels in Kwilu province in early 1964. The Italian government also began training the Congolese air force (See Feb. 20, 2011). With rebels moving on multiple fronts towards the capital, the government in August created a paratroop training base at Ndjili (Centre d’Entrainement des Troupes Aéroportées, CETA) trained by Israelis. The base was also intended to protect the airport as well as the eastern approaches of the city. 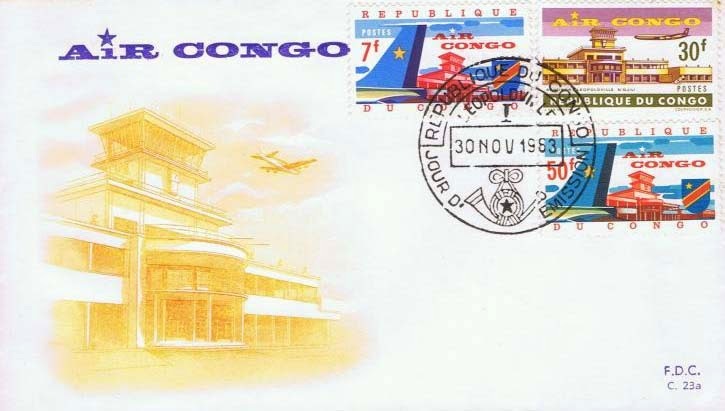 Maintenance and operation of the Congolese air force was now ostensibly under contract to the World International Ground Maintenance Organization (WIGMO), registered in Lichtenstein in 1964. This was a CIA front company, managed by an American. It hired mercenary pilots and ground crews. This succeeded the earlier Caribbean Aeromarine and shared the military hangar at Ndjili with the US Congo Military Mission (Comish). 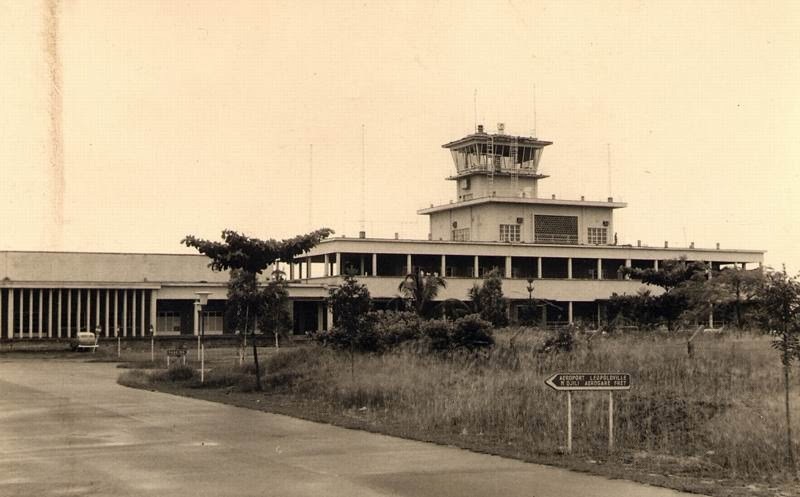 In November 1964, Ndjili airport was again the focus of intensive air operations as aircraft delivering hostages rescued from rebels in Stanleyville and northeastern Congo arrived. The USAF C-130 fleet which transported the Belgian paratroopers used in the operation on Stanleyville brought in numerous evacuees. In a rare lapse of the hyper security that usually maintained at the airport, access to the apron was open to the general public. A civil aviation training institute was established under United Nations auspices at Ndolo in August 1965. This would become the Institut Supérieur des Techniques Appliquées - ISTA (See.Aug. 20, 2011). In January 1966, Ndjili was once again the heart of an airlift operation, this time as the base for fuel deliveries to Zambia after Rhodesia’s Unilateral Declaration of Independence cut off Zambia’s fuel supplies. The US contracted with Pan Am and TWA for two Boeing 707s each to operate twice daily flights to Lubumbashi from where the fuel was delivered to Zambia by road. Canada also provided Canadair Yukon aircraft in support of the airlift. The planes carried cargos of sixty 55 gallon drums on pallets, and the airlift was expected to deliver 6000 tons of fuel during January and February. Otraco opened commuter rail service to Ndjili in 1968, using a locomotive purchased from France and five cars obtained in the UK. 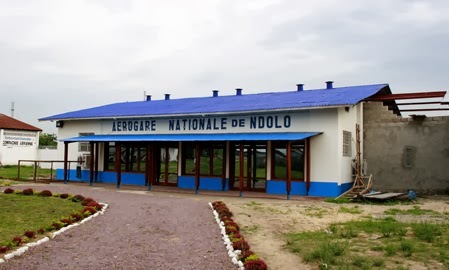 In 1975, the civil aviation agency, the Regie des Voies Aeriennes (RVA) determined that Ndolo would be reserved for light aviation and business aircraft, while Ndjili would service domestic, as well as international flights until a new international airport was built. Ndolo was also the site of the military airport, Camp Mbaki. That same year, Commissaire Urbain Sakombi Inongo transferred, temporarily, the established market at Pont Cabu (Pont Kasa Vubu, (see Sep. 12, 2011) to Ave. Lukolela where it became known as “Somba Zikida”. The Pont Kasavubu market was originally a temporary location while the Central Market was under construction in 1968, but the sellers didn’t want to lose their clientele (See. Feb. 6, 2011). 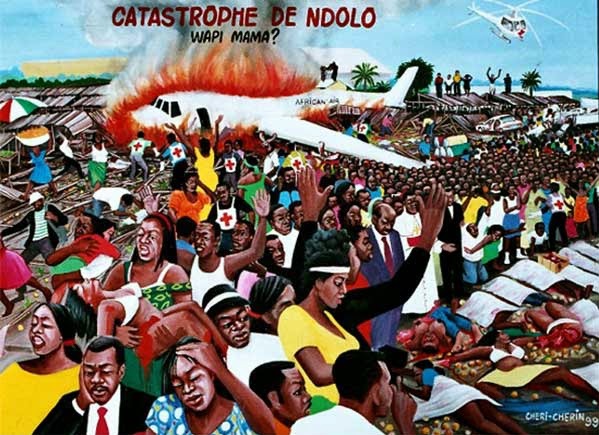 On January 8, 1996, an overloaded Antonov-32 leased by African Air failed to gain altitude on take-off from Ndolo and crashed into the Somba Zikida market, killing 237 and injuring another 253 people on the ground when its full load of fuel exploded. It remains the highest number of non-passenger casualties of any plane crash anywhere in the world. The aircraft was leased from “Mobutu’s banker”, Bemba Saolana’s SCIBE Airlift, and was carrying arms to UNITA in Angola. A year previously, another Antonov-32 belonging to Miabi Air had crashed on landing at Ndolo, killing 34 passengers and crew, and in January 1993 an overloaded Trans Service Airlift Nord 262 overran the runway on take-off, killing 6 on the ground. Concerned about safety of the airport in the center of an urban area and reacting to world-wide revulsion at the Somba Zikida crash, the government closed Ndolo airport and civil aviation was transferred to Ndjili. In September 1996, the Belgian Besix construction firm reportedly obtained a contract to rehabilitate Ndjili, but this work foundered with the collapse of the Mobutu Regime the following year. Under Laurent Kabila’s government, Sterling-IGF submitted a proposal in November 1997 to rehabilitate Ndjili. Any progress on upgrading Ndjili was put on hold following the Rwandan-led invasion of Congo in August 1998. After an audacious flight across the country from Kigali to capture the military airport of Kitona on the Atlantic coast, the Rwandans moved up towards Kinshasa along the railway line from Matadi. They attacked Njdili from Kasangulu on August 26 and were only repulsed after three days by Congolese and Zimbabwe Defense Force allies. As the war continued, Ndjili was a key link in support to operations across a range of military fronts. In April 2000, a fire broke out in a warehouse facing the tarmac where ammunition was being loaded. Four aircraft were destroyed and over 100 killed. A huge section of the terminal building was destroyed. Laurent Kabila’s assassination in January 2001 is generally acknowledged as the nadir of the new regime. At Ndjili, the airport facilities were decrepit. The check-in area under the graceful shallow dome was crammed with fences and make-shift counters. South African Airways pilots regularly warned arriving passengers from Johannesburg that the rumbling they were about to experience was due to cracks in the deteriorating runway, not their flying skills. Luggage belts did not function and travelers were subjected to such harassment from officials and hangers-on that the hazards of negotiating the Ndjili gantlet was one of the most common posting about Kinshasa on on-line sites. In 2002, the Italian firm Gestari opened an office in Kinshasa with the expressed interest in rehabilitating Ndjili airport. With the establishment of the transitional coalition government in 2003, pressure mounted to reopen Ndolo airport. The apron at Ndjili was crammed with planes of all sizes, many of which would often have to be towed aside to allow a new arrival to park close to the terminal. Transport Minister Olenghankoy announced in September that Ndolo airport would soon be reopened with support from Belgian Technical Cooperation. Meanwhile, it was reported that South African investors were proposing to build a new $254 million airport on RVA land across the Boulevard opposite Ndjili. Considering South Africa’s own pressing development needs, this proposal did not play will there and subsequently faded from view. In February 2004, the press reported that a Belgian-based firm had signed an accord with RVA to rehabilitate the international airport – notably 50 years after Belgium began construction of the original facility (See Apr. 27, 2013). Reaching back with equal proclivity, a delegation of Teke and Humbu chiefs approached RVA in April for renegotiation of the original 1948 concession on the airport site. 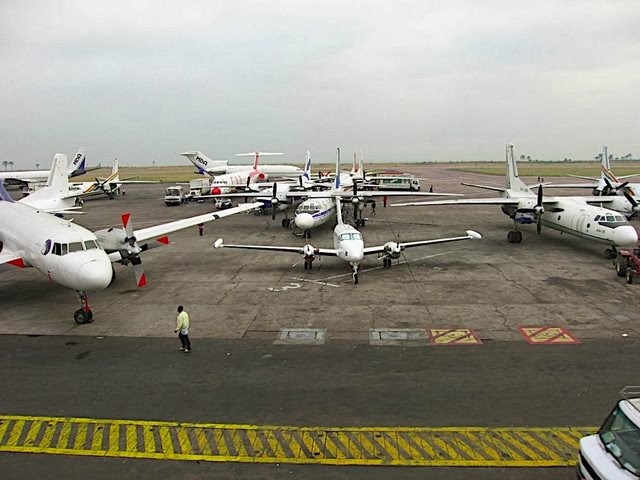 In May 2004, the Council of Ministers approved reopening Ndolo airport to reduce congestion at Ndjili and in July Minister Olenghanoy formally reopened the airport. During the national Elections in June 2006, a contingent of 750 European Union forces (Eufor), deployed to supplement the Monuc force, established their base at Ndolo. 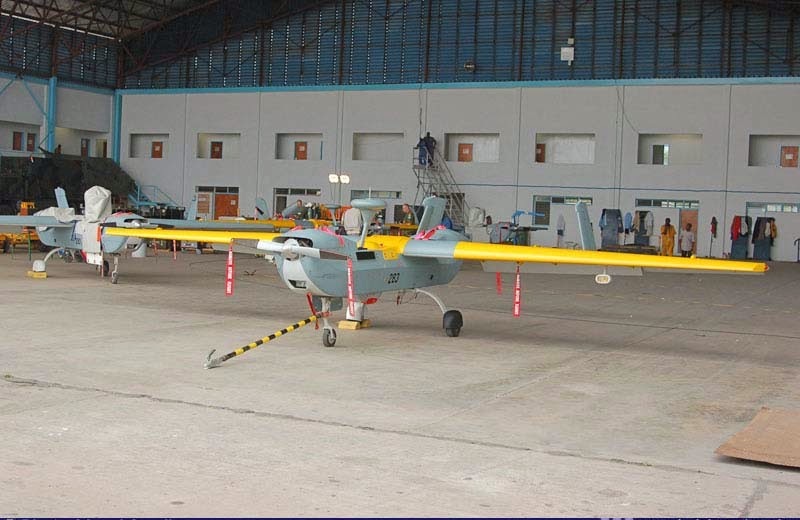 The contingent was supplied with drone aircraft to facilitate monitoring conditions on the ground. 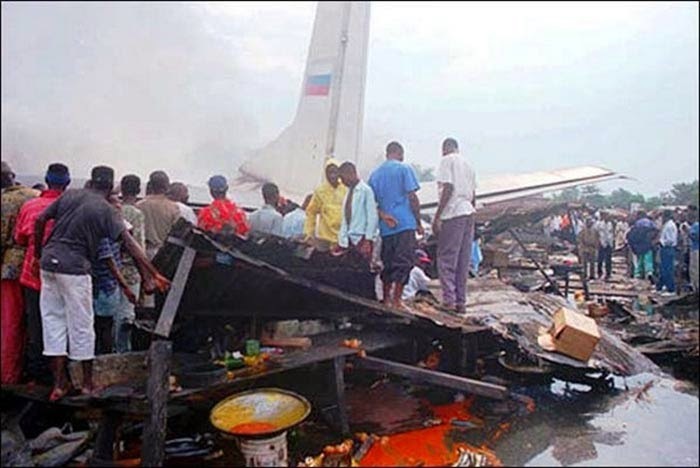 Disaster once again scarred Congo’s skies on October 4, 2007 when an Antonov 26 leased from Malila Airlift by Africa One crashed on take off from Ndjili into Kingasani Commune killing 28 people on the ground and 21 passengers and crew. “This happened before”, lamented the media, recalling the Somba Zikida disaster. The government’s response was to proscribe use of the outdated and unregistered aircraft that comprised the domestic airline and charter fleet (all Congolese airlines were already forbidden to fly to the European Union). Initiatives to upgrade Ndjili airport continued apace. 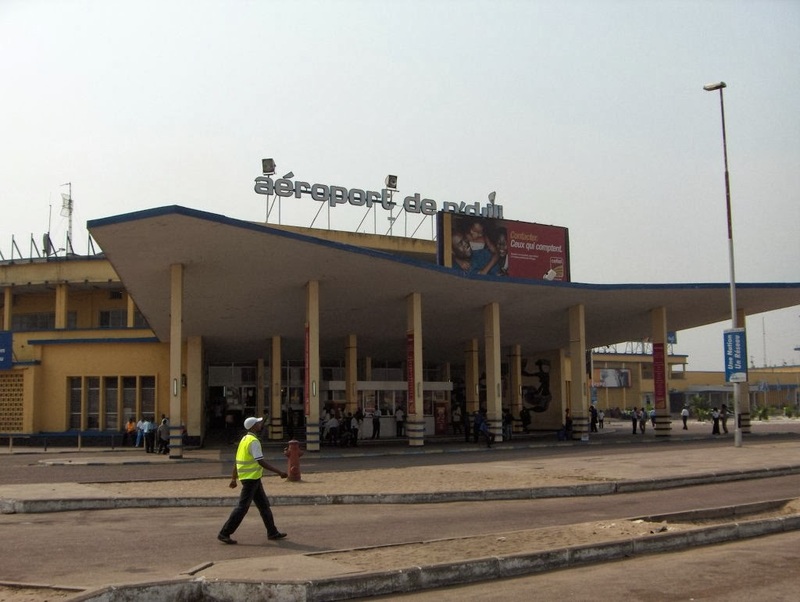 In May 2009, President Kabila presided over a ceremony to upgrade and modernize the airport. A “Go Pass” departure fee was assessed on both domestic and international departures, paid directly to a bank that had advanced the funds for the rehab work. The improvements targeted the runway as well as a new tower and terminal. An immediate priority was preparations for the June 2010 50th anniversary observance of Independence from Belgium. 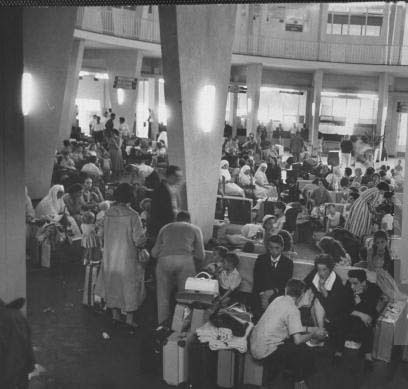 A VIP lounge was built in the first phase. In 2012, the terminal was further upgraded to prepare for the Francophonie meetings in December. The colonial era terminal received a bronze glass façade treatment. At the end of 2012, RVA awarded a contract to Alpha Airport to put up a temporary terminal and in February 2013, gave a contract to ADPI-SYSTRA to conduct a feasibility study for a new terminal, expected to cost $600 million. In June, Prime Minister Matata Ponyo announced the construction of a $22 million temporary terminal to be put up and operational while the new terminal is under construction. 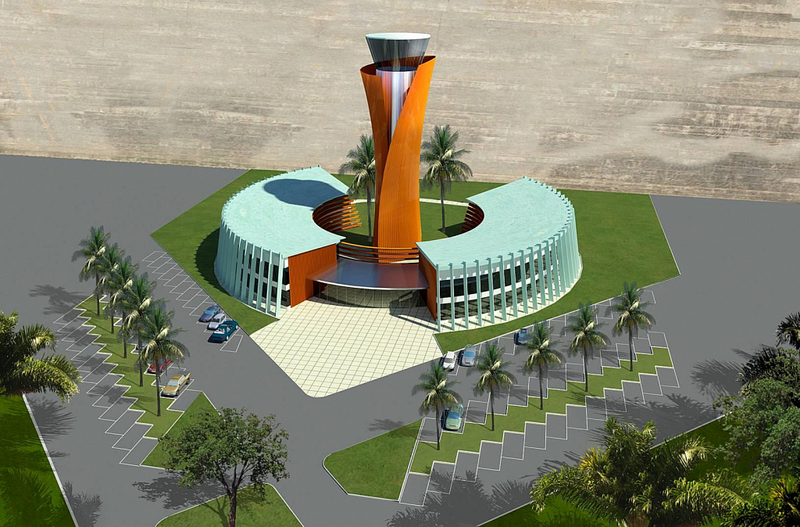 The rotonde of the main terminal will continue to be used for domestic flights. During 2014, a resurfaced runway and a new control tower and attendant fire brigade installations meeting OACI standards will be put in service. These have been constructed with Chinese and African Development Bank funding and built by a Chinese company. Ndolo Airport remains an outdated anomaly. Its location in the town center and its history of catastrophic air disasters makes it a prime candidate for closure. The vast acreage of prime developable land in proximity to downtown could provide space for a mixed-use district providing governmental, commercial, educational (the ISTA campus could be expanded) facilities and a range of housing options as well as adding much needed public space. Lelo Nzuzi offers a plan for this. Boulevard Lumumba could be extended into downtown across two or three connectors to spread the traffic into key intersections with Boulevard du 30 Juin. At the same time, one of the last vestiges of the colonial Neutral Zone would be removed from the urban fabric Kinshasa (Camp Kokolo is another anachronism to be addressed in this equation). Properly and transparently managed, the sale of this real estate could go a long way in funding the costs of new airport facilities at Ndjili. · Fumunzanza Muketa, Jacques, 2011. Kinshasa d’un quartier à l’autre, l’Harmattan. · Hellstrom, Leif, 2006. The Instant Airforce, The Creation of the CIA’s Air Unit in the Congo, 1962. · Lelo Nzuzi, Francis, 2011. Kinshasa Planification & Aménagement, l’Harmattan. Another fantastic and informative post by Mwana Mboka, Congolese history at its finest expression by a true Kinois! Few know Conogo and Kinshasa better than he does, always lovely to find out something new about Kin la Belle! I remember flying in to Njili and all of the trials associated with it, great read a perspective that really knows what they are talking about! Bravo pour votre blog et tout ce travail!!! I lived in Kinshasa as a child and attended the Zaire British Association School. I've been trying to find info about the school, what happened to it? 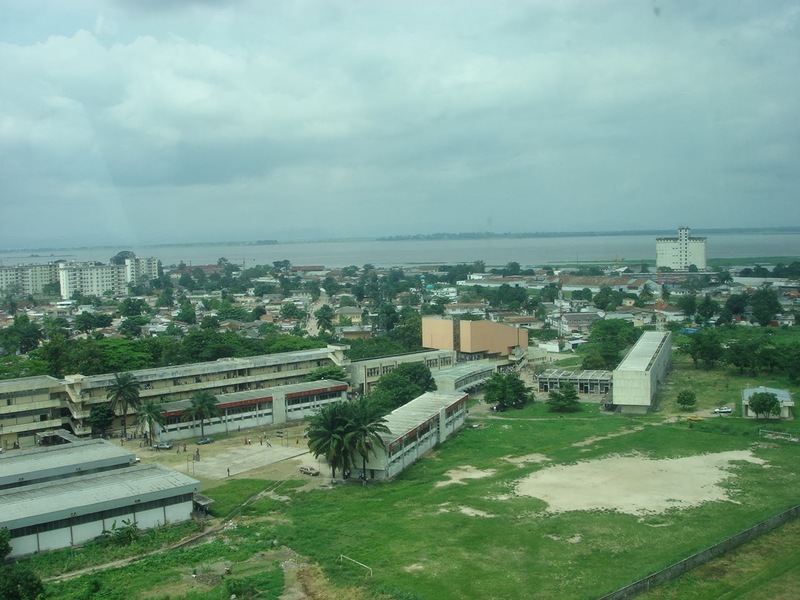 Do you know where in Kinshasa it is? I would like to find it on google earth! Rachel, WHEN were you in Kinshasa? I was there 1965-1969, at British School. Wendy and Suzanne (Suzi) White, Chris and Andrew Wheeler (still in touch with both), Tony and Patricia Price, The Pelletier kids, the Pasco kids, Sabrina and a RACHEL. I am looking for photos and documents trying to find and remember more. We lived on Rue Lamaire which became Shaba then became Katanga, near the golf course. My father was COMISH, my mother started the Commissary. 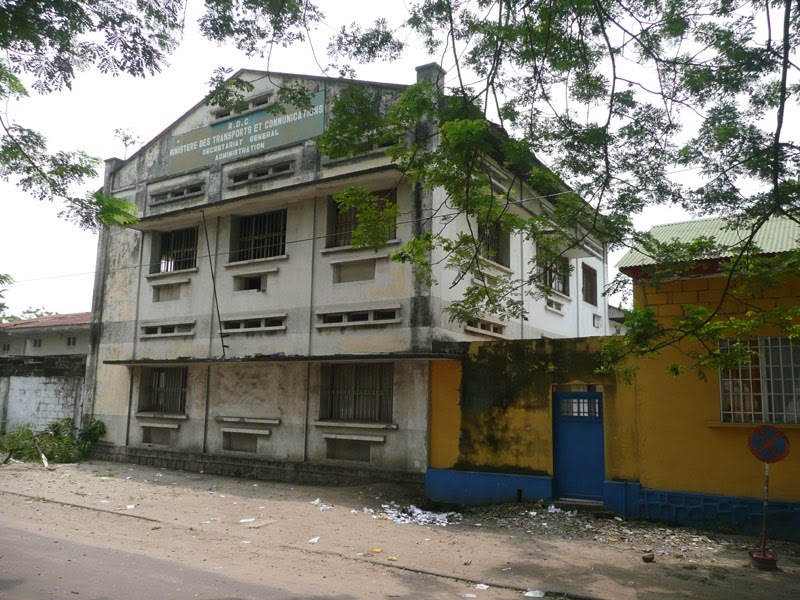 Rachel, in the mid-1970s, the Zaire British Association School was located in the Sunday School building of the International Protestant Church of Kinshasa (IPCK) located in Commune de la Gombe on Ave. Lukusa. If you use those key words in google earth, you should be able to find it. Just stumbled on this today thanks to the Tasok FB group I joined recently. Some wonderful stuff and I'll be looking through the rest. Lived in Kin from 1986-93. Taught at both the Protestant Faculte (University now) in Kin and the Kimbanguist one in Lutendele. Kids went to Tasok. Keep up the great work! Congratulations with this interesting blog, me and Johan are following you since a cuople of years! We would like to get in touch, we have some particular questions (with regard to a book chapter that we are publishing). Could you please contact me: luce.beeckmans@ugent.be. I attended TASOK 1966-1968. Played drums in Rock Band with great bunch of guys. Steve S. is that you?